Indy falsely claims Fatah was founded by Arafat to merely ‘create a Palestinian state’. Anyone who reads this blog is no doubt well aware of the British media’s obsessive focus on every conceivable Israeli flaw, real and imagined. Conversely, “If you follow mainstream coverage”, former AP Jerusalem correspondent Matti Friedman explained in his Tablet expose on the media’s institutional bias, “you will find nearly no real analysis of Palestinian society or ideologies, profiles of armed Palestinian groups, or investigation of Palestinian government”. “Palestinians, added Friedman, “are not taken seriously as agents of their own fate”. “The West”, he continued, “has decided that Palestinians should want a state alongside Israel, so that opinion is attributed to them as fact”. So, whereas the Israeli government is often characterised as hard-line, right-wing (always in the pejorative) and, at times, “the most right-wing government in its history, Mahmoud Abbas’s PA is rarely assigned such ideological markers. When his political orientation is ntoed, the extraordinarily misleading message conveyed to news consumers is that he’s a “moderate” who’s rejected violence at every opportunity – a framing reinforced by their consistent failure to report comments by Abbas (and other PA leaders) endorsing violence, lying about Jewish history, promoting antisemitism and praising ‘martyrdom operations’. Within the media echo chamber, there is almost no alternative ‘narrative’ of the conflict. This is the context by which to view a recent claim in the Independent article, by Daniel Khalili-Tari , on a Hamas investigation into an explosion that targeted the Palestinian prime minister in Gaza. The sentence appears in the penultimate paragraph, whilst providing a brief history of the PA’s relationship with Hamas. Fatah was founded by Yasser Arafat and other nationalist leaders in 1958 to bring about the establishment of a Palestinian state. This benign characterisation of Fatah’s goals is divorced from reality. First of all, in 1958, there was of course no Israeli occupation. 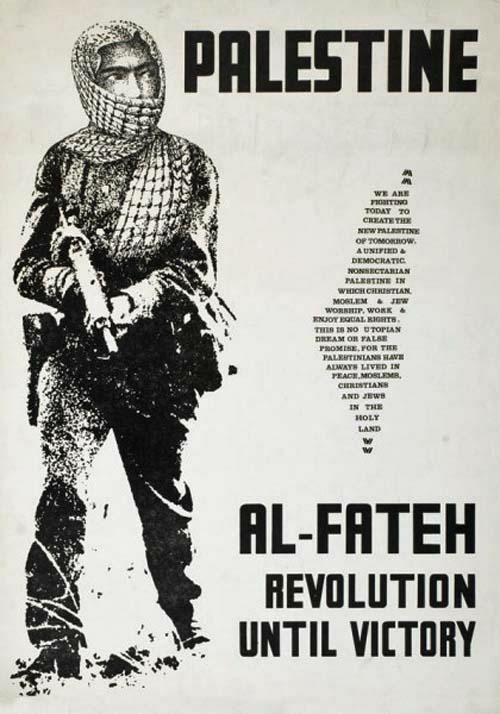 Moreover, Fatah’s founding constitution – an English version of which was on the party’s website until 2007 – clearly states that their goal was the complete eradication of Israel by the use of “armed resistance” – violence which they described as a strategy, not merely a tactic. Article (19) Armed struggle is a strategy and not a tactic, and the Palestinian Arab People’s armed revolution is a decisive factor in the liberation fight and in uprooting the Zionist existence, and this struggle will not cease unless the Zionist state is demolished and Palestine is completely liberated. This is important, because whilst there are legitimate questions even today as to whether they are even now genuinely committed to two states, for decades they didn’t even try to hide their malevolent desire to murder Israeli civilians in order to ‘liberate’ Palestine ‘from the river to the sea’. The claim by the Indy journalist that Fatah was founded to create a Palestinian state shouldn’t be seen as merely a one-off factual error, but, rather, part of a larger media pattern of casting Palestinians as the reasonable party in the dispute, by obfuscating their long history of terror, extremism, and rejectionism. We’ve complained to editors about the error. I’d be surprised if the complaint leads to anything other than a subtle change in the wording. This is not just a pattern. It’s a campaign. Maybe the Indy isn’t aware of its own nation’s PROUD history of conquering territories and then creating countries made out of royalty and warring factions. Then again, we can’t all be historians. Yasser Arafat, born in Egypt, appoints himself the Head of the Palestinians, and almost 20 years after he rejects the peace that his supposed people have supposedly craved (in return for the Second Intifada, i.e. blowing up pizza joints, dance clubs, and hotel ballrooms) he is lauded by the UK press as a historical leader. Then again, the UK press sells anti-Semitism over actual recorded history, so that makes sense. They seem to have a problem only with Jews controlling territory. Whenever that happens it’s “Palestine.” That’s the history. The Indy might better spent its resources investigating the Soviet Union’s connection to the PLO, then it could move on to an analysis of Article 24 of the PLO 1964 Charter in which it expressly disclaimed any Palestinian Arab sovereign rights to territories then held by Jordan and Egypt – which is the entirety of the very lands they now claim to be theirs by right, resolutions, descent from Canaanites and other rubbish. That’s some dedicated movement, then again what can you say about a group that doesn’t even have an Arabic name for its people’s “ancestral” homeland (whose “historical” frontiers appear to date only as far back as 1923) and that celebrates its important anniversaries according to the Western solar rather than Muslim lunar calendar. It seems that the purpose of the “Palestinian cause” is in part to test the credulity of the West with much of the West failing that test time and time again. If their adversaries were not Jews, the West would simply laugh at their pretensions and move on to more important matters. Eurotrash love “palestine” so stick a “palestine” in scotland, norway, ireland, sweden. There is no doubt that the mindless ‘left wing’ line followed by the middle class ‘intellectuals’ has lead to an increase in Jew hatred throughout this country. Do you blame the Let wing for, say, Poland’s Nationalistic government? After all, Nazis were Socialists, right? Like Bernie Sanders, who is a Socialist, but not a Nazi. No, I Estel is confining this to the UK. P.S. Bernie’s knowledge of this is dismal. The initial comment suggest that anti-Semitism comes from the Left. And yet in Poland, as I pointed out, the ant-Semitism is coming from the Right. I will interpret vague statements subjectively. If OP wants only specific, direct responses, then OP can let me know. I will point out how being vague doesn’t help OP’s cause in being understood. If only you had phrased it that to begin with. If only I wrote what you wanted me to write for your own consumption? Why do you think your opinions should matter about how I write, Jeff? It’s cute you want to be so petty. It’s so cute the way you smear people for questioning your authority. It’s as if you are beyond criticism. The commenter pointed out a rise in antisemitic feeling specifically in the UK due to the influence of the Left. It is perfectly legitimate to point out that it exists on the Right as well. I have no quarrel with that. But in the UK and US it is being mainstreamed far more on the Left at the moment. That can change, and unfortunately it’s likely. It’s cute that you, the drunkard, and Crazy Eddie hate being told off by me (even when I’m being polite about it). All the while you really can’t stop yourself from being told off in the first place. This board gets it. You don’t like Liberals. You think all Liberals hate Israel. You just can not for the life of you understand how it is that, in America, so many Jews vote for Democrats. That very much is the center of most of our so-called debates. Just watch your drunk wife, Jeff. She’ll flip out on me soon enough before taking offense to my posted statement. So keep all your niceties, Jeff. If you don’t want me to call you out as a hypocrite and/or simpleton, then don’t make it obvious. In comment No. 1, you demand I write so you can understand me. In comment No. 2, you claim that I’m smearing you for calling you out as someone who demands that I write in a way you find non-objectionable. You’re like Trump. Say something stupid. Beat back the criticisms. Make yourself a victim. Like all Fox Newshounds. Since you want to stay on the topic (because you always want to stay on the topic, unless you don’t want to stay on the topic…. you’re quite a particular individual, Jeffery) are you going to claim that the Fascists taking over Poland right now are Liberals? I know…. It seems so long ago that my original point on this thread was made. Of course, it’s my fault you didn’t understand me. Poor Jeff. Always up against a wall of his own incapabilities. Oh, and he still seems to believe that the far-left Jew-haters in the Democratic Party are ‘liberal’. Thank you Adam. I think stressing there is a fine line between Fatah and Hamas is important, primarily one is lead by corrupt autocrats and the other by the Muslim Brotherhood. Their goal is the same, which is the replacement of Israel with a Palestinian state. Their modern day tactics/ approach are different and so is their envisioned judenrein state (i.e. Islamic Republic vs. Arab Plutocracy). The concept of Jews and Arabs living in coexistence is a farcical picture painted by the Palestinian Authority for European sponsors. The only coexistence that might be tolerated by Fatah is that of Jews as dhimmi in a Palestinian State that replaces Israel. After living in the UK for five years, I feel the European media has bought the Palestinian narrative that the PA/ Fatah want to coexist alongside Israel. We can thank the media and politicians for being gullible and dishonest. I would just like to ask the Indy where exactly were they planning on putting it? Put a “palestine” in Der Independents/Der Guardians home country. Not one word of any of this is true. It is truly ignorant. Yes, having grown up in a liberal Jewish household, voting for Democratic candidates for President 9 times, and supporting them 14 times (I wasn’t always old enough to vote, you know), I’m obviously utterly incapable of understanding why so many American Jews vote for Democrats. I have never stated a distaste for Liberalism on this board or any other. I have always only referred to anti-semitic/anti-Zionist elements of the Left. A careful reading would reveal that I am drawing a distinction, but you seem to miss that. Someone mentions anti-Israel animus on the Left and you equate that to hatred of Liberals in your comeback. So, yes, I demand you write more clearly, because that’s a bit slippery. And so is an antisemitic, authoritarian Left attempting to claim the mantle of liberalism. You’re entitled to an opinion, but now and then, I do get to challenge it.